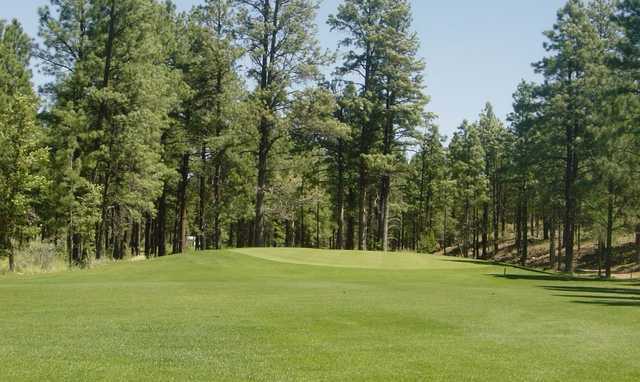 The majestic White Mountains surround Bison Golf Club in Show Low, making it feel much further than 3 hours from Phoenix and Tucson. A scenic view of the mountains can be enjoyed on nearly every hole. The golf course covers a varied terrain, wandering through stands of towering pines and across open, grassy meadows. 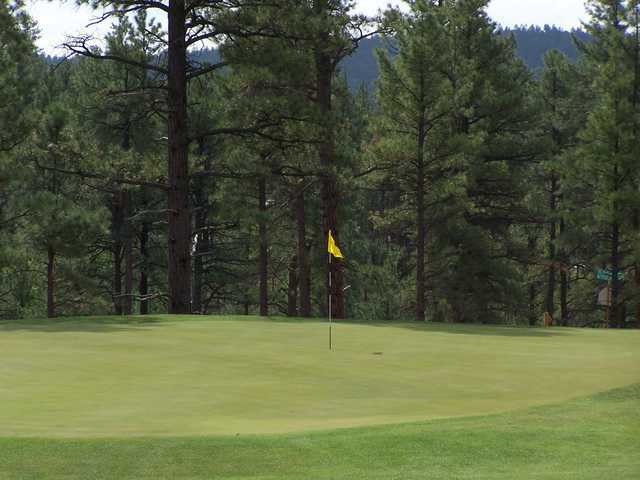 The majestic White Mountains surround Bison Golf Club in Show Low, making it feel much further than 3 hours from Phoenix and Tucson. A scenic view of the mountains can be enjoyed on nearly every hole. The golf course covers a varied terrain, wandering through stands of towering pines and across open, grassy meadows. Former PGA Tour player Billy Mayfair designed the course. His design blends seamlessly into the lush, rolling hills dotted with ponderosa pines. The challenging layout rewards accurate approach shots, controlled distance, and mid-range iron skill. Bison Golf Club finishes with its signature hole, a beastly par 5 that snakes through some of the tallest pines at the club. This hole features a small, well bunkered green that's quite a feat to reach in two.